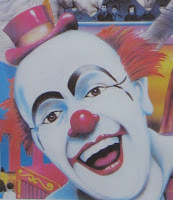 There is one thing that all circuses, large and small, have in common: freaky clowns. I think the scariest ones tend to frequent the more modest venues. Why do the really disturbing-looking clowns seem to gravitate to Commerce, TX? There was one here this past November. At least that clown seems to have a good dentist! 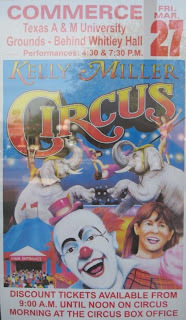 I must be the only person on the Intertubes who finds traditional circus clowns funny and not the least bit disturbing or frightening.